Manufactured using the highest quality materials and innovative technology, the drum filling machines we have custom designed, have boosted productivity and accuracy for our customers. In an industrial environment, a drum filling system can increase output levels instantly, and the machines we offer are no different. The drum filling equipment we have built provide precise measurement and control of liquid materials, and we have designed and supplied both semi and fully automatic models. While we do not have a dedicated line of drum filling equipment, per specific customer requests, we have custom designed quality drum filling machines. Each renders precise, efficient and repeatable outcomes. 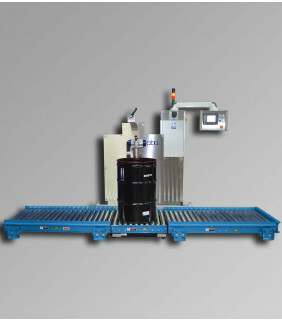 Our drum filling machines offer the solution for any gravimetric filling requirements. Both of our technologically advanced drum filling machines utilize electronic controls for higher precision and ease of use. TFGEA-DRUM - Paint & Liquid Drum Filling Machine Model M387: The ABA-TFGEA-DRUM is an automatic, electronically controlled, top fill, net weight filling machine designed to fill drums. 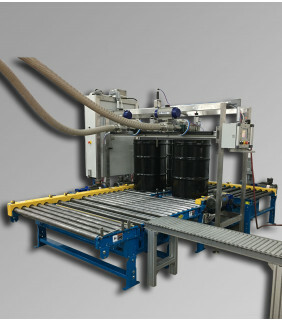 TFGES-DRUM - Paint & Liquid Net Weight Drum Filling Machine - M335: The ABA-TFGES-DRUM is an electronically controlled, top fill, net weight, semi-automatic filling machine designed to fill drums.